Remarkable achievement and a proud moment for all our stakeholders! 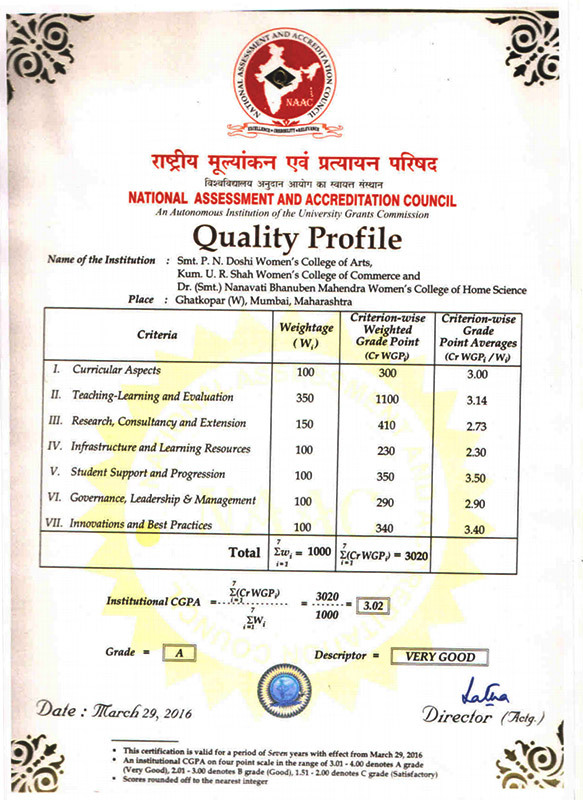 Our college has been ranked as one of the high performing institutes in the country as we have achieved “A” grade in three consecutive cycles by National Assessment and Accreditation Council (NAAC). 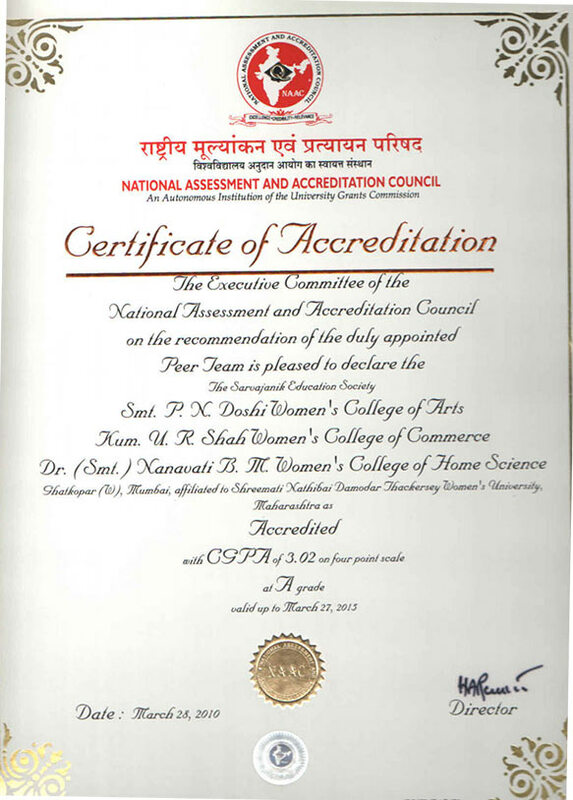 This has given us extension of accreditation of two years i.e. from five to seven years. 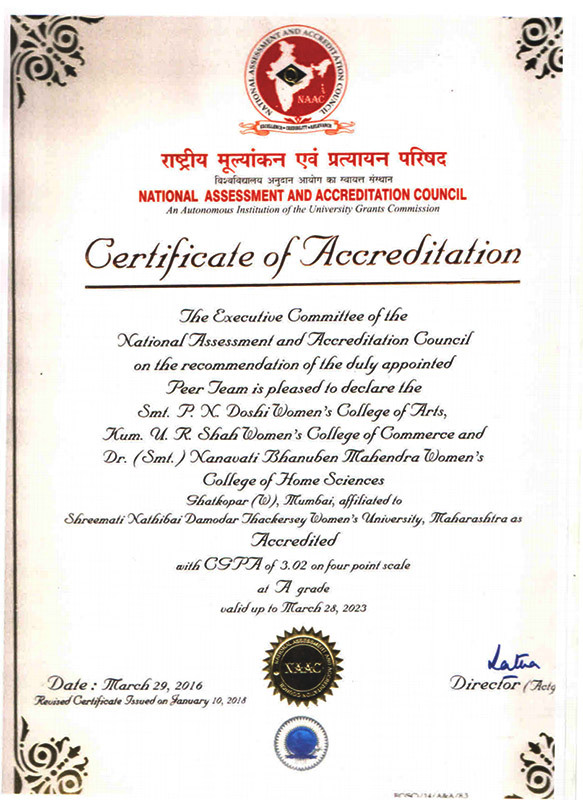 Ours is the first and only college affiliated to SNDT Women’s University, Mumbai to get this status. Managed by SPRJ Kanyashala Trust, and conducted by Sarvajanik Education Society, Smt. 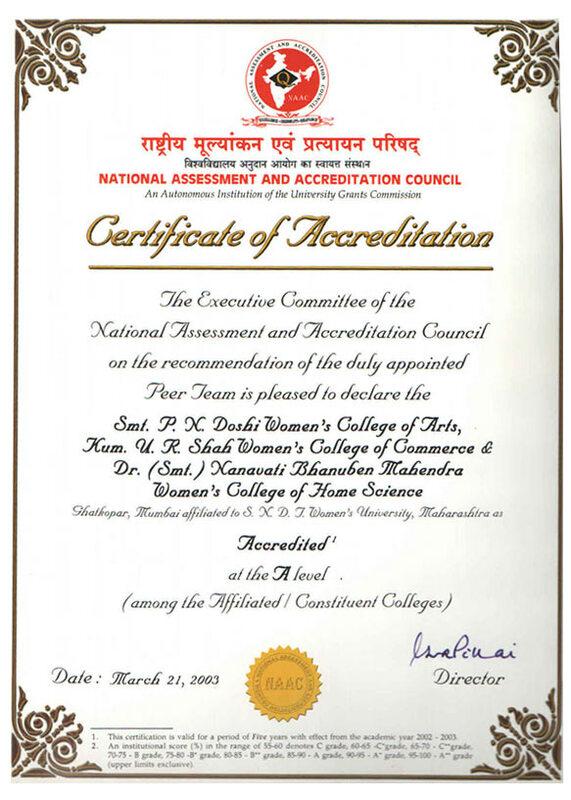 P. N. Doshi Women's College is one of its kind. 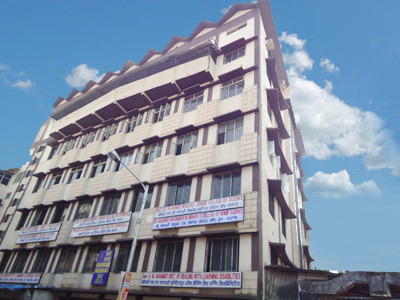 The fifty eight year old edifice is not just a brick and mortar structure, but a living, breathing, pulsating institution that resonates the temper of the times. The motto of our Institution, "Sa Vidya Ya Vimuktaye" (That education which liberates), was conceived at a time when liberation was nowhere near the horizon of Indian woman's life in general. To be recognized as a centre of excellence for education that empowers women leading to self actualization. Proud moment for our college!!! 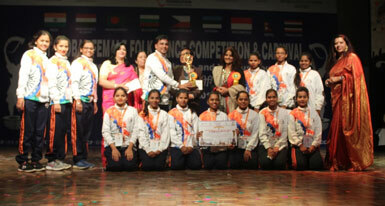 Our students won THIRD PRIZE among 65 teams from across the world at 19th Global Female Folk Dance Competition and Carnival. 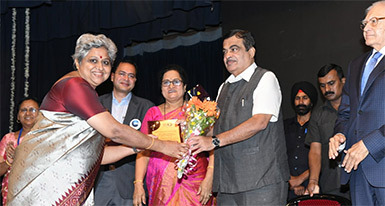 The competition was organized by Charu Castle Foundation and supported by Ministry of Culture (Government of India) and CIOFF INDIA (Official partner of UNESCO) at Ghaziabad between January 3 and 7, 2019. Hearty congratulations to the team. Congratulations to Dr. S. Kumudhavalli (Director, Sarvajanik Education Society) for successfully completing Tridaathu Navi Mumbai half marathon with Third Rank under 21 km 60 years and above category. We are proud to announce our In-Charge Principal Dr. Asha Menon has been awarded the Maharshi Karve Utkrushtha Shikshak Puraskar 2017-2018 by SNDT Women’s University for being a dedicated teacher, an avid researcher and compassion for extension activities. 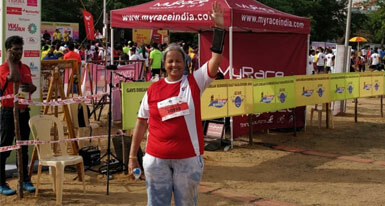 Hearty Congratulations!!!! Students must wear their Identity Card in the college premises. 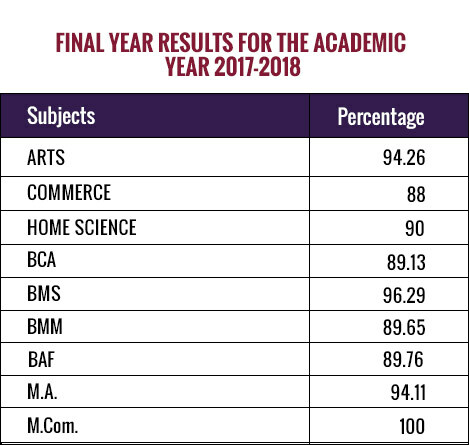 Students are expected to have 75% attendance in each semester. The word 'Saanidhya' denotes closeness, togetherness. It is an apt choice for the name of an alumni association that was initiated to bring together women from this institution – the recently graduated alumni - to keep alive their spirit of camaraderie, their desires and dreams and to ignite the same in the minds of those who had lost thread of their ambitions somewhere along their passage of life.